If swimming pools are left with no chemical treatment during the winter months, then you will more than likely have a ‘pea soup’ to deal with when spring arrives. If you have a textured plaster pool such as ‘Marble Plaster’ then leaving these pools untreated is highly unadvisable. the water to a low pH around 6-6.5,which will actually accelerate the erosion of the plaster. So make sure if you have one of these pool surfaces, apply wintering chemicals and cover your pool to keep the leaves out. If the pool has a painted concrete plaster finish, these are generally a lot easier to clean because the growth occurs on the surface only and can cleaned with a broom and vacuum from the filter system. A lot of Pool Maintenance Companies will not prepare and apply epoxy coatings to your pool, but will refer you to qualified professional Applicators who are familiar with this process. 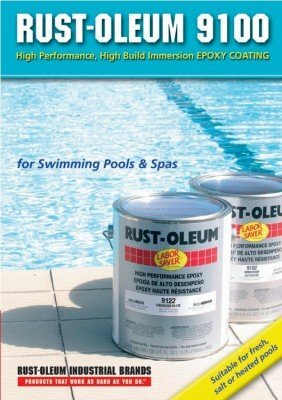 We at Modern Maintenance Products, have approved and qualified Application Company we can recommend to apply the Rust-oleum 9100 swimming pool epoxy, or we can guide you through the process if you decide you would like to paint the pool yourself. Please ring us to get swimming pool prices based on the size of your pool. We insist that whoever applied our epoxy, that they must apply it in accordance with the manufacturers recommendations, especially to the correct thickness. Taking shortcuts can end up being costly with the pool coating not lasting as long as it should, and when you take into account that you have to pay for the water in a lot of cases, this can prove to be expensive. Modern Maintenance products, cares about your pool, especially if you select our high performance epoxy coating. This can be applied in fresh or salt water pools, and will withstand continuous temperature of up to 520C in a pH 3-13. 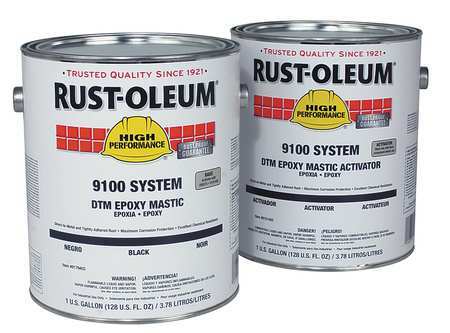 Rust-oleum 9100 High Performance swimming pool epoxy will give you fantastic results, if your pool is prepared properly, and the product applied correctly.